Prohibition of alcohol was in effect from 1920 to 1933. During this time period, marijuana was legal. After the prohibition of alcohol was lifted, the prohibition of marijuana went into effect. Neither prohibition has worked, and both have only increased criminal activity regarding the making and selling of the banned substances. Now 29 states have legalized marijuana for medical use and 8 states have legalized it for recreational use. As a result the crime of marijuana distribution and sales will decline although there will still be black market distribution and sales in the states where it is still illegal. California is the latest state legalizing marijuana for recreational use. As a result many people now in jail for use or sale of marijuana will be exonerated and have their records expunged. This is a blow to the private prison industry which has made a fortune off the incarceration of these individuals, many of them black way out of proportion to their numbers in the general population. The U.S. Department of Justice (DOJ) reports 2.2 million people are in our nation’s jails and prisons and another 4.5 million people are on probation or parole in the U.S., totaling 6.8 million people, one of every 35 adults. We are far and away the world leader in putting our own people in jail. Most of the people inside are poor and Black. Police discriminate. The first step in putting people in jail starts with interactions between police and people. From the very beginning, Black and poor people are targeted by the police. Police departments have engaged in campaigns of stopping and frisking people who are walking, mostly poor people and people of color, without cause for decades. Recently New York City lost a federal civil rights challenge to their police stop and frisk practices by the Center for Constitutional Rights during which police stopped over 500,000 people annually without any indication that the people stopped had been involved in any crime at all. About 80 percent of those stops were of Black and Latinos who compromise 25 and 28 percent of N.Y.C.’s total population. Chicago police do the same thing stopping even more people also in a racially discriminatory way with 72 percent of the stops of Black people even though the city is 32 percent Black. Now Attorney General Jeff Sessions is sicking his dogs on the legal marijuana industry because, while it's legal in certain states, it's illegal at the Federal level. I guess states' rights doesn't matter since it only evidently applies to red states. The Federal focus should just be on the illegal shipping of marijuana from legal states to illegal states, and the prosecution of any marijuana coming in over the Mexican border. The legalization of marijuana should, if not putting a stop on marijuana from Mexico, at least slow it down considerably which is a good thing. The Mexican drug cartels will lose money. Though a key argument for legalizing marijuana in the United States is that it would put a tremendous and necessary dent in the domestic and global failure known as "the War on Drugs," a new analysis out Wednesday reveals that federal legalization could also raise more than $130 billion in tax revenue by 2025 while also creating more than 1.1 million new jobs. The new data comes in the wake of polling that shows historic levels of support for marijuana legalization nationwide. In October of 2017, a Gallup survey found that 64 percent of Americans now favor legal marijuana—the highest level ever recorded. It's also an issue that receives backing from people across the political spectrum. According to the Gallup poll, a majority of Republicans (51%) are in favor while Independents (67%) and Democrats (72%) support legalization at even higher levels. As California braces for the impact of relaxed marijuana laws that allow recreational use for adults, several small, financially strapped cities in southeast Los Angeles and elsewhere are at the forefront of efforts to seize business opportunities — despite pushback from some residents. In Los Angeles County, cities like Maywood are approving marijuana licenses in anticipation of boosting local economies, creating jobs and filling commercial lots. Huntington Park has issued three permits, and Lynwood is negotiating development agreements with 13 applicants for marijuana businesses. Elsewhere, the desert town of Adelanto has tried to sell itself as a place for growers with a 30-acre industrial park divided into units that will be sold to marijuana cultivators for $7.5 million each. And in Northern California, Oakland has received more than 100 applications for marijuana businesses under a city program where at least half of available permits will be granted to applicants that include individuals with marijuana-related convictions. In contrast, under a proposed plan for Los Angeles, marijuana growers and sellers would receive a “certificate of compliance” instead of a business license or permit. 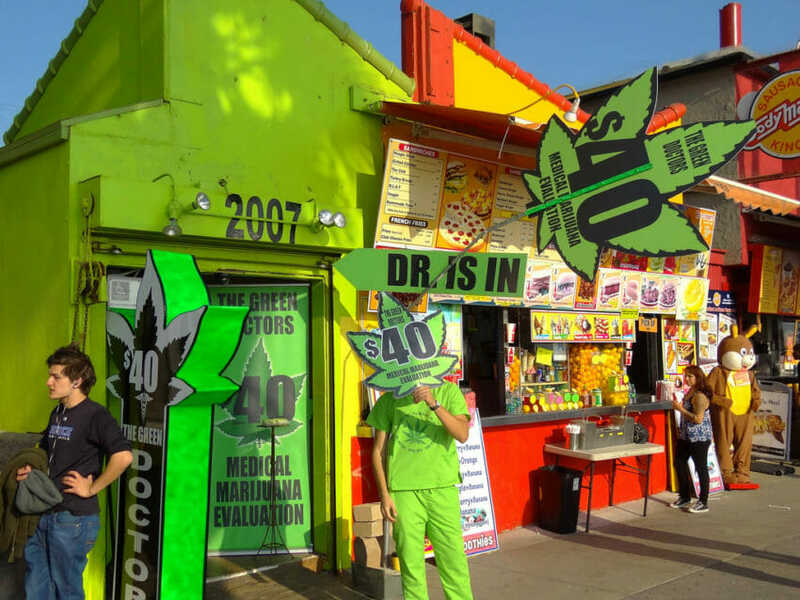 Marijuana businesses in L.A. would remain illegal but could operate with “limited immunity” from criminal prosecution if they follow city and state laws. Are African American Males an Endangered Species? As a white guy, this question is still very germane for me since my grandson is an African American male. Or rather he is half African American and half European-American - actually a little less than half African American with a little Native American thrown in. And he has already been placed in a tenuous position at the age of six because next year he will be repeating kindergarten. His parents were not able to afford the level of pre-school instruction that the other members of his kindergarten class evidently received. It's amazing that now they expect kindergarten children to do first or second grade work with spelling tests and homework every day. When I went to kindergarten, the only thing expected of us was that you would learn to tie your shoes. His case is not so much a case of racism as it is a case of being raised in relative though not extreme poverty. The only reason it wasn't extreme was that there were extended family resources available to them. That isn't always the case for many African American or blended families. Many black children, and in particular black male children, are raised in extreme, unremitting poverty. In many cases a family member is in jail. It could be a father, an uncle, a brother, a cousin. Going to jail is a very common experience for African American families. The root cause is that many of them have had meager job training and very limited employment opportunities. Most are in jail for minor drug offenses. If marijuana were to be legalized, the prisons would empty out. America has less than 5% of the world's population but about 25% of all prisoners. There are more African American males in jail now than there were working as slaves at the height of slavery. And they are not the only ones punished for minor drug offenses. Their families are punished as well. Their children are denied the opportunity of having a father in the home. Their wives are denied the opportunity of having a breadwinner other than themselves in the family. In 2008 one in a hundred American adults was behind bars. America, with great armies deployed abroad under a banner of freedom, nevertheless harbors the largest infrastructure for the mass deprivation of liberty on the planet. We imprison nearly as great a fraction of our population to a lifetime in jail (around seventy people for every hundred thousand residents) than Sweden, Denmark, and Norway imprison for any duration whatsoever. That America’s prisoners are mainly minorities, particularly African Americans, who come from the most disadvantaged corners of our unequal society, cannot be ignored. In 2006, one in nine black men between the ages of twenty and thirty-four was serving time. The role of race in this drama is subtle and important, and the racial breakdown is not incidental: prisons both reflect and exacerbate existing racial and class inequalities. The so-called "war on drugs" has resulted in large numbers of African American males ending up in prison while a few decades ago marijuana was perfectly legal and alcohol was outlawed. Prohibition of alcohol consumption started in 1920 and ended in 1933. Up until 1933 marijuana consumption was perfectly legal. As soon as they made alcohol legal again, they started Prohibition of marijuana. The arbitrariness of the laws has determined that large segments of the African American population have become outlaws when their grandparents and great grandparents lived during a time when their recreational drug of choice didn't result in breaking the law. At that time marijuana was part of African American culture and remained so to a large extent after it was outlawed. Now serving time in prison has become part and parcel of the African American experience. As Loury says, "... the ubiquity of the prison experience in some poor urban neighborhoods has had the effect of eliminating the stigma of serving time." In these poor neighborhoods on any given day there are as many as one in five African American males in jail. Children grow up with the knowledge that a family member or someone they know is spending time behind bars. Such is the epidemiology of African American poverty. As in my grandson's case, his having to repeat kindergarten was more a function of his parents' relative poverty which resulted in their not being able to afford preschool for him than it was because of the fact that he is African American. For everyone incarcerated who had poor employment opportunities before they went to prison, when they get out, their employment opportunities are virtually non existent except for doing illegal activities where employment is readily available. Their environment and their prison contacts determine their employment prospects post prison. The determining fact of their situation is that the culture they live in is one of crime and poverty. And this suits the interests of the prison-industrial complex just fine. They employ lobbyists to encourage lawmakers to pass even stricter laws criminalizing as many things as possible. Why? the more people serving time, the greater are their profits. And they have been hugely successful! Private prisons have spent millions on lobbying to put more people in jail. From less than 300,000 inmates in 1972, the jail population grew to 2 million by the year 2000. "Three strikes" laws have led to an aging prison population. Many of these prisoners will never see the outside world again, and, if they did, their lives would be entirely dysfunctional as they are completely adapted to prison life and maladapted to living outside of prison. Private prisons are the biggest business in the prison industry complex. About 18 corporations guard 10,000 prisoners in 27 states. The two largest are Correctional Corporation of America (CCA) and Wackenhut [ed.note: now called GEO Corporation], which together control 75%. Private prisons receive a guaranteed amount of money for each prisoner, independent of what it costs to maintain each one. According to Russell Boraas, a private prison administrator in Virginia, “the secret to low operating costs is having a minimal number of guards for the maximum number of prisoners.” The CCA has an ultra-modern prison in Lawrenceville, Virginia, where five guards on dayshift and two at night watch over 750 prisoners. In these prisons, inmates may get their sentences reduced for “good behavior,” but for any infraction, they get 30 days added – which means more profits for CCA. According to a study of New Mexico prisons, it was found that CCA inmates lost “good behavior time” at a rate eight times higher than those in state prisons. We're creating a dystopia, where the mania of the state isn't secrecy or censorship but unfairness. Obsessed with success and wealth and despising failure and poverty, our society is systematically dividing the population into winners and losers, using institutions like the courts to speed the process. Winners get rich and get off. Losers go broke and go to jail. It isn't just that some clever crook on Wall Street can steal a billion dollars and never see the inside of a courtroom; It's that plus the fact that some black teenager a few miles away can go to jail just for standing on a street corner, that makes the whole picture complete [or in Trayvon Martin's case walking home with a bag of Skittles]. The great nonprosecutions of Wall Street in the years since 2008 ... were just symbols of this dystopian sorting process to which we'd already begun committing ourselves. The cleaving of the country into two completely different states - one a small archipelago of hyperacquisative untouchables, the other a vast ghetto of expendables with only theoretical rights - has been in the works a long time. And as every individual who's ever been charged with a crime knows, anyone facing criminal arrest can expect collateral consequences. A single drug charge can ruin a person's chances for obtaining a student loan or a government job. It can nix his or her chances of getting housing aid or a whole range of services - even innocent members of your family may lose access to government benefits. You can lose your right to vote and your access to financial aid. You can even have your children taken away. I'm hoping that my grandson will somehow escape the cultural propensity and milieu that seems to redound to some members of his ethnic group or rather one of his ethnic heritages. After all he didn't grow up in the ghetto; he's a naturally smart and spirited little boy. That doesn't mean he will adapt well to society's norms as exemplified by the school system which tends to penalize people with his set of talents and personality traits regardless of race if they don't conform. The school system has a tendency to dispirit spirited people in an attempt to get them to be docile and compliant. And if they're hyperactive, they want to drug and sedate them with Ritalin in preparation for an adult life dependent on prescription or street drugs. He has two older sisters that seem to have the talent and intelligence to transcend society's norms regardless of race. One has been in the gifted class since she started school and the other is on the honor role. An even more positive prognosis is that his parents are back togther after a four year interlude and finally pulling themselves out of poverty. However, there are many others that could be constructive members of society if they were only able to obtain a little outside help which, unfortunately, too many do not have access to. As Billie Holiday said,"Papa may have. Mama may have, but God bless the child who's got his own, who's got his own." Is Colorado’s Experiment Becoming Just Another Retail Venture? On a cold January morning, Colorado became the first state to begin the legal sale of marijuana. Over a year since the vote was cast to legalize the drug, thirty seven dedicated shops opened their doors as people began queuing outside, keen to become part of this historic occasion. Whereas many states have endorsed the use of marijuana for medical reasons, Colorado is the first state which has authorized (and taxed) the sale of the already ubiquitous substance. Dubbed by some as ‘Green Wednesday’, the grand opening found many stores selling out in hours, and eventually having to turn away customers, citizens who were eager to become a part of a shifting attitude towards the use of previously illegal drugs. Despite discrepancies between federal and state laws, Colorado’s legalization of the chemical is now an industry which faces a system of regulation and bureaucracy, just like any other. With recent statistics suggesting that over forty percent of American adults have engaged with marijuana or hashish at some point in their lives, the widespread prevalence of the substance is typically accepted within the American culture. With the majority of grievances and citations made following the complaints of citizens rather than police led investigations, the change in policy is perhaps simply in keeping with the cultural acceptance of cannabis use in the wider society. With many aspects of pop culture now openly discussing the use of marijuana (though under the pretext of its illegality), the shifting paradigm of criticism and denouncement moved towards one of acceptance. With the effects of using now widely known, the use of the drug has become, culturally speaking, just another plot device on our television shows. The change of law in Colorado, the widespread usage (even if it refers to a single occasion) and the existence of marijuana as a cultural norm reflect the changing attitudes of the American public towards the substance, though wide spread calls for extensions of Colorado’s policy are still a long way away. On an administrative level, the shops themselves are now subject to many of the regulations and demands faced by other service and sales industries. Passed with fifty five percent of the vote, Amendment 64 includes a great many parameters for the sale and distribution of the previously banned substance. This includes the maximum possible tax rate and the right of cities and councils to decide whether they should be allowed to include the stores within their regulative limits. Despite the obvious annoyance of the Governor of Colorado - who suggested that "Colorado is known for many great things — marijuana should not be one of them" – the existence of a regulated medical marijuana community before the passing of the law may well have helped to ease the transition in the minds of the voting public. Built on the solid foundation of a dependable and well-administered medical marijuana platform, the acceptance of the viability of recreational sales could well stem from the somewhat experimental implementation of the distribution of the drug for medical use. One of the key aspects for the maintenance and observation of the legal selling is the requirement that each retailer must cultivate their own crop, which will remain in place until October of next year. Whilst this might hinder the growth of the industry and heighten costs, it has helped the government regulate what is a nascent and controversial industry. Perhaps the biggest challenge for those selling marijuana is finding the right place in the market. As mentioned above, the medical market provided a fine testing water for many of the retail ambitions of the store owners. But with the competition brought by becoming a retail business, rather than a medical one, store owners must attempt to chart untested waters. Should they price the product too low, they face criticism from those who feel they might be encouraging excessive consumption. Too high and they face competition from the illegal dealers who plied their trade before the legislative bill was passed. Despite prices fluctuating, a typical range of $250-$300 for an ounce seems to be becoming the norm. When factoring in sales and state taxes (possibly over twenty five percent), as well as the costs of running the store, the new wave of legal Colorado weed dealers are facing the same challenges as any newcomer to the retail industry, and could well be raising a great deal of money for the state. When it comes to changing public opinions and grand legislative changes, it seems strange that a chemical once deemed so illicit is now subject to the same market pressures as a new candy shop or clothes store. Now that the drug is legal, the next considerations could well focus on the viability and sustainability of these stores as business models, rather than legal experiments.